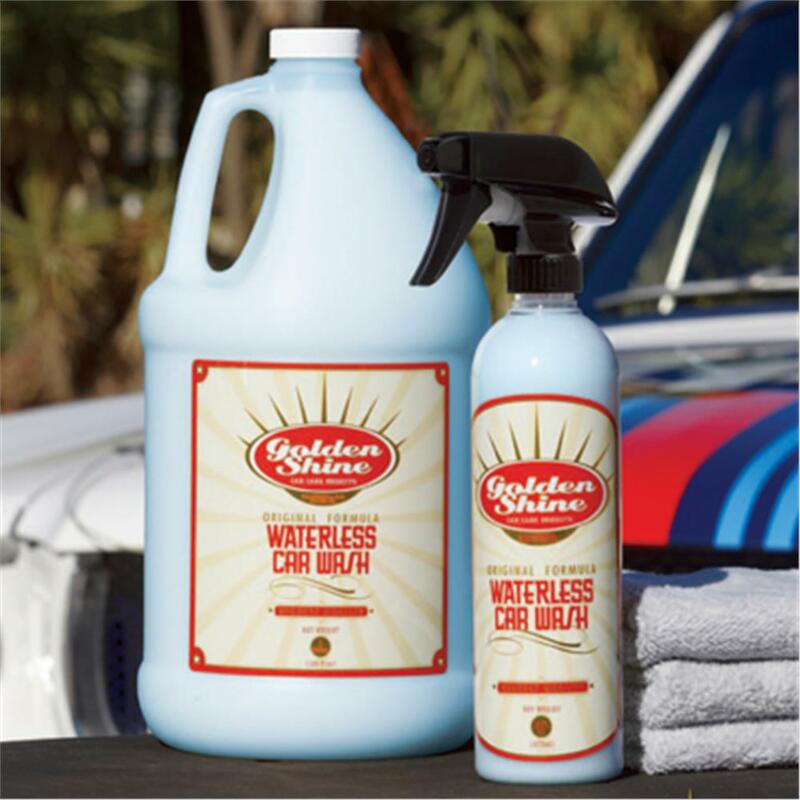 Golden Shine Waterless Wash uses a dust encapsulating formula to clean and care for a vehicle when a traditional water and bucket car wash is not a possibility. It is a popular choice for mobile detailers and auto enthusiasts living in water controlled communities. Its easy to use formula features cleaners and lubricants that bond to dust particles and quickly remove them. Simply spray Waterless Wash on your vehicle, wipe away, and buff until dry with Premium Microfiber Detailing towels. Repeat as needed to remove light dust. To prevent scratching, rotate towels often to ensure that you are always using a clean Premium Microfiber Detailing towel. Waterless Wash can dry quickly, so only use the product indoors or in a shaded area. Waterless Car Wash is a concentrated cleaner that will add a little shine to your vehicle as it cleans. For optimal results, follow with an application of our Golden Shine Quick Shine to enhance the vehicle’s appearance and shine. Too concentrated for you? 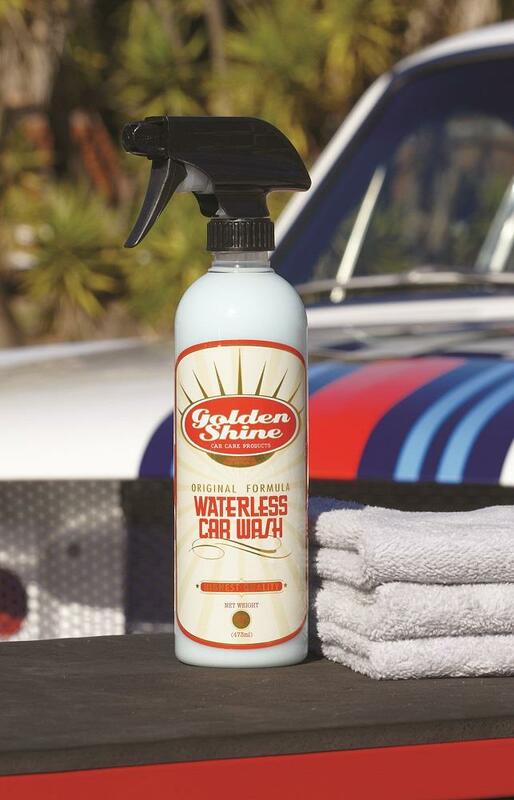 We developed Golden Shine Waterless Wash with strong cleaners and lubricants for maximum cleaning power. Some of our mobile detailers will cut the product by ½ with distilled water. This will not affect the performance of Waterless Wash in most instances and can make cleaning easier. Why Golden Shine Waterless Car Wash?